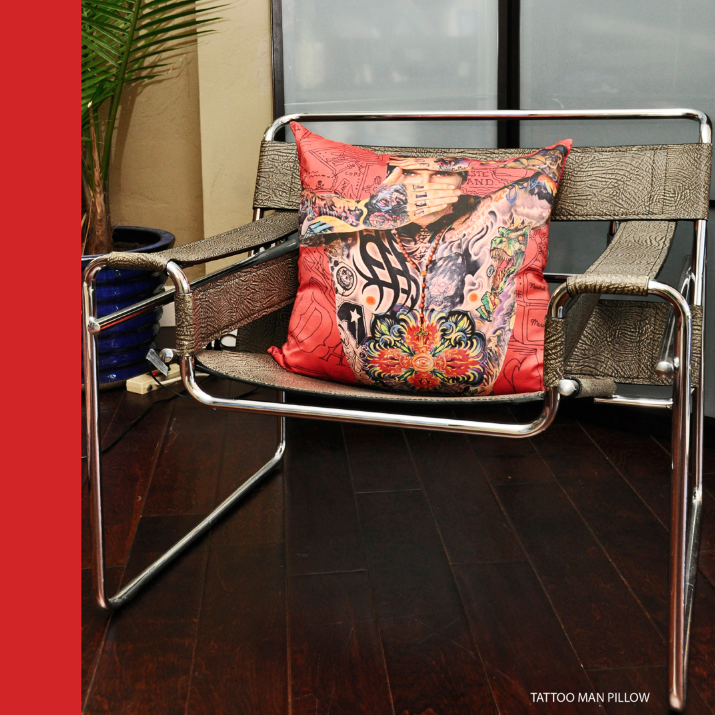 The Q chairs are a marriage of David Quintanilla’s photography with a revamp of antique and vintage hand-picked chairs. David chooses each chair based on design, durability and their potential for new life. 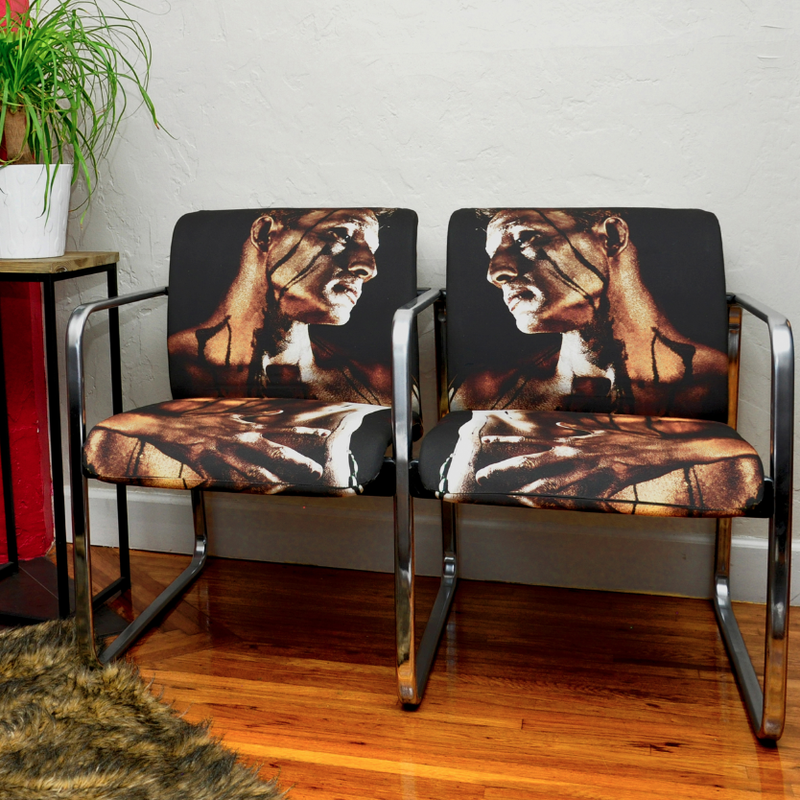 When he chooses the image to go on the chairs, he prints it on a heavy durable cotton twill. He then chooses any additional textiles and a fresh color to complete the design. All pieces are finished off to either the customers personal taste, or David’s own creative vision. The transformation ends in an eclectic, quirky and modern one-of-a-kind masterpiece.